Jasmine joined our small team from the famous kennels of Anne Taylor in New Zealand. 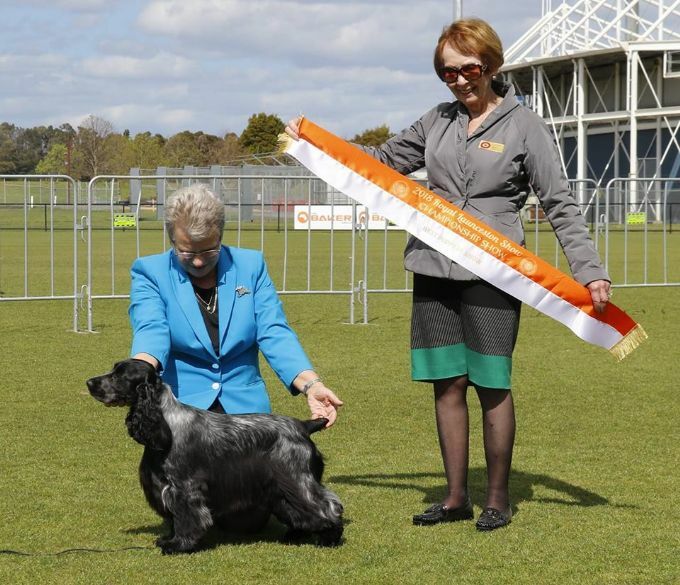 Jasmine quickly completed her Australian title winning multi classes in group and a Best Exhibit in Group from the puppy class under gundog specialist Bev Watt. Jasmine also was crowned Puppy in Show at Royal Launceston Show under breed specialist Sharron Derrick from Canada. Full of life and forever on the hunt for fun Jasmine is a joy to live with and we are grateful to Anne for allowing her to travel downunder, downunder.